When you care for your teeth properly, they can last you a lifetime. At	BVL Family Dental Center, we work to not only check your teeth when you’re in our office, but	to educate you on the proper care for your teeth and gums as well. If	you take good care of your mouth throughout your life, you can be rewarded	with healthy teeth and gums! Remember, it is less costly to keep up with	your teeth’s hygiene now, rather than have to fix them with an expensive	dental treatment later. It is our goal to give you a healthy smile! If you believe you have tooth decay or a tooth has been broken, you may	require a filling to stop any further damage. A filling is designed to	protect a tooth. 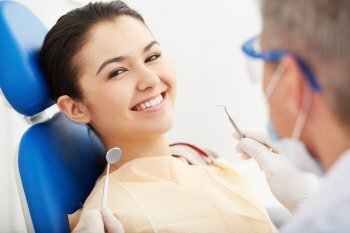 We can determine if you need a filling, as well as provide	you with the best type of filling. A root canal may be necessary if the pulp inside one of your teeth is infected. Whether the infection is due to decay, repeated dental procedures, trauma	or a crack in the tooth, a root canal can restore a tooth to its full	capacity. After removing the infected pulp and carefully disinfecting	the inside of the tooth, our team fills and seals the tooth to ensure	nothing can penetrate the tooth’s surface. A crown is then placed	on the tooth for further protection. If your tooth is too badly damaged or if you do not have enough space in	your mouth for other important teeth, you may have to have a tooth removed. Commonly extracted teeth include wisdom teeth and baby teeth that have	not fallen out on their own. Depending on the tooth that needs to be removed;	you may have to undergo a simple or surgical extraction. To learn more or to schedule an appointment, call us now at (407) 348-6042!